Despite what the thermostat may say in your neck of the woods, spring will return soon. Gardeners everywhere will eagerly run outside with their rake, hand trowel, garden spade and hoe in hand, ready to tackle the soil and start planting. Garden tool manufacturers looking to ramp up production in the winter need to understand that these rabid consumers demand a sturdy, durable, good-looking tool that helps them accomplish the task at hand (without causing pain). Gardeners are workers -- they’re digging holes, hitting rocks, moving dirt, and creating masterpieces. They give tools a workout and don’t want something that bends at the slightest amount of pressure. Steel tubing can produce handles that stand up to the toughest tasks. 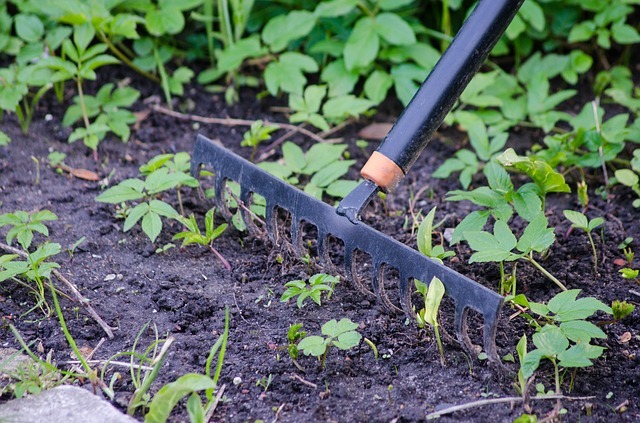 Metal gardening tools may in especially popular in areas with rocky soil, like New England. Gardening involves dealing with the elements -- and those elements present challenges for gardening tool manufacturers. Soil can be dirt, sand, or clay. Gardeners can add components like compost, manure, fertilizer, and lime to get the perfect growing environment. Some soils, and even grass, can be very acidic. And quite often, the soil is wet. Wood will simply rot over time. Yet with metal, your design decisions when choosing tubular steel (or aluminum) must take corrosion into consideration. Not a problem, though. Aluminum and 304 grade stainless steel have great corrosion resistance. Mild steel usually has poor resistance to corrosion unless it is coated. We prefer powder coating over paint for a variety of reasons. Whether moving dirt, or performing the same repetitive motions, the joys of gardening can be a strain on the human body. Gardeners don’t want heavy tools that add weight and difficulty to their tasks. Some manufacturers may try to lower their production costs by using cheap wood grades, incorporating plastic, or utilizing cheap steel that is formed a little thinner, but the diligent garden tool manufacturer utilizes steel tubing that is appropriate to the job without being too heavy for the user. In cases where you can get by with a less sturdy metal, you may want to specify aluminum. It’s far lighter than steel. Originally, straight handles were thought to be best on every garden tool. Yet ergonomic studies have shown that slight bends and angles, and differences in length, can produce a tool that works better and is easier to use. Don’t forget that many gardeners are retirees and want to be as comfortable as possible when using your product. Fortunately, tubular steel is easy for a metal fabricator to bend. Both mild steel and aluminum can be easily formed to achieve your desired angle. Most gardeners appreciate a good-looking tool. Finish choices usually come down to paint vs. powder coating. Paint may not be as wear-resistant to all the digging. This might result in paint chips that are not conducive to eco-friendly gardening practices. The final consideration to designing a great gardening tool is doing so at a price keeps your profit margin in mind. Mild steel is more affordable, while aluminum can be more expensive. There are all sorts of grades of each metal that vary in properties and, perhaps more importantly, availability. A harder-to-get grade is always more expensive. An all-in-one metal fabrication shop that understands the needs of garden tool manufacturers can help you make the best design choices for the gardening job. So if you’re not 100% confident in your ideas, check with your vendor for design-for-manufacturability advice!